Auger Torque trenchers are quickly gaining a reputation of being one of the toughest most versatile units available on the market today, and are available for a wide range of skidsteers, mini-loaders, backhoes and excavators up to nine tonnes in weight. 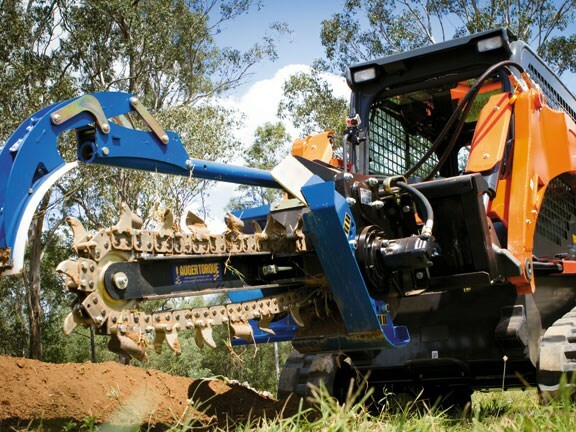 Their trenchers come in numerous specifications, allowing each unit to be customised to suit a customer's working needs and machine specification. 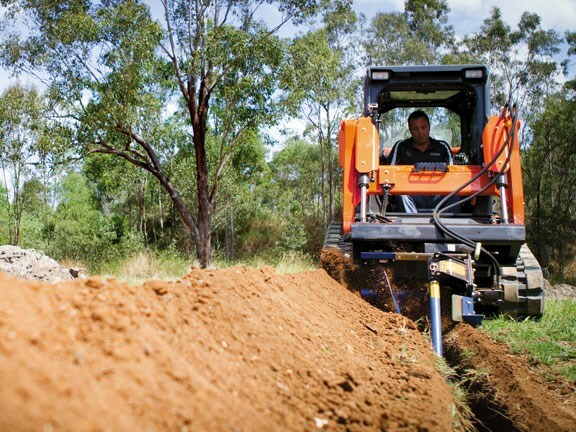 With models available to suit trenching up to 1500mm deep and a massive 350mm wide, there's a unit for almost all applications. Using high quality hydraulic motors that allow flow rates of up to 150LPM, and amplified by Auger Torque's own bullet-proof planetary gearbox, means that Auger Torque trenchers are built to have the reliability and power needed to ensure trenching is carried out with absolute ease. Chains are available in a number of different teeth configurations for trenching in soft ground, mixed grounds and even permafrost, allowing the job to be completed, no matter what the environment. 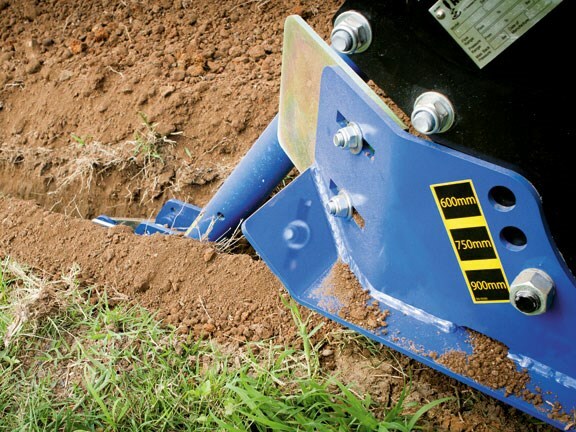 Another great feature that will make the job easier is the precision skid-plate, which will allow the operator to set the desired trench depth. Once level with the ground, the trencher will then cut at the optimal cutting angle while maintaining the correct depth. 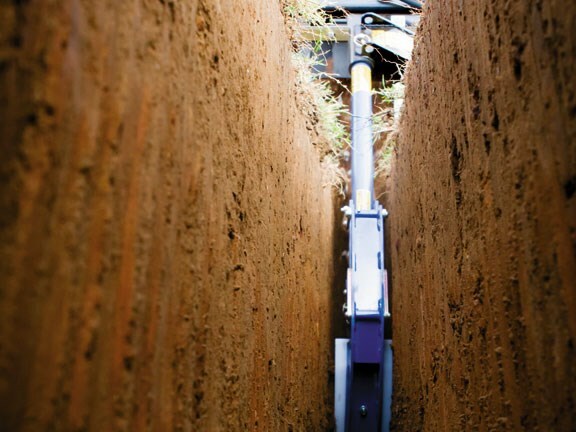 Pulling the trench is as easy as creeping the machine in reverse at a steady pace, and even inexperienced operators will find working with this attachment a breeze. By scanning the QR code below, you can see a video of a trencher in action, and are sure to be impressed by the amount of dirt being removed from the trench and neatly placed off to one side using the single sided Auger. This is beneficial for good access to the trench to enable work to be carried out easily and safely, while at the same time allowing for easier backfilling. The Auger Torque MT900 can be an asset to any operation, especially in an age where diversifying existing plant by adding versatile attachments means more money in the bank. These trenchers are priced to surprise prospective buyers. Contact Earthworm to find out more. Ph 0508 21 22 23 or visit online at earthworm.co.nz. 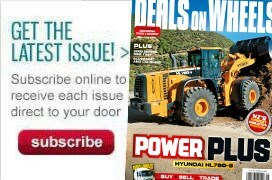 For the latest reviews, subscribe to Deals On Wheels magazine here .